One question often asked by new collectors is the meaning behind a flag-like banner that features a red border, white center, and blue stars. These banners became prevalent during World War I and World War II, and have also been hung during the Korean War, Vietnam War, The Gulf War and the current wars in Iraq and Afghanistan. They are an official US Military Appurtenance. Department of Defense Directive 1348.33, Manual of Military Awards and Decorations, specifies the regulations for the use and display of these Service Flags. They can be found in all sizes, from very small featuring only a single star, to large banners more than 10 feet in size, and featuring tens or even hundreds of stars. The banners were produced by families, local communities and businesses to represent sons who were fighting overseas. Each blue star represented one soldier, sailor or airman in the service. Although originally representing sons in earlier wars, today they represent both sons or daughters who are deployed for war. One of the most poignant traits of these flags is the presence of red or gold stars in place of (or on top of) the blue. The red represented a wounded service member and the gold represented a service member who was killed in action. The presence of these banners served as a constant reminder of why families, communities and businesses needed to remain dedicated to efforts to win the war and bring their sons and daughters back home. The gold stars reminded them of those who made the ultimate sacrifice and would never return home. 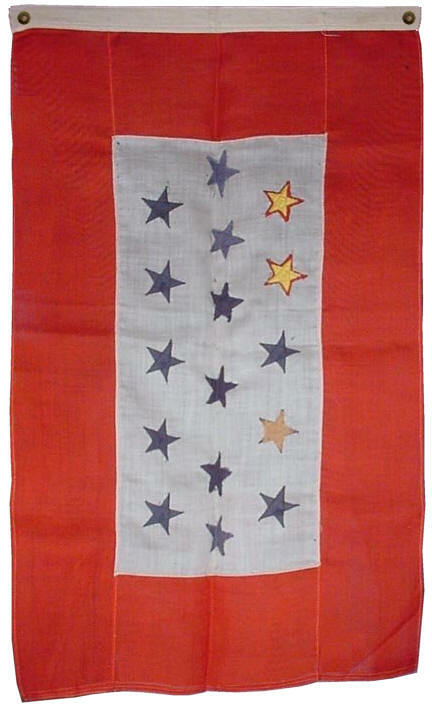 Son In Service Flag, World War II. This particular Son In Service Flag is one of the most touching of all I have witnessed. The flag is small, and must have been made by a local business or community organization. The original flag was manufactured with ten blue stars, sewn with a zig-zag machine stitch--five on each side. To the original ten, six stars were added down the center. 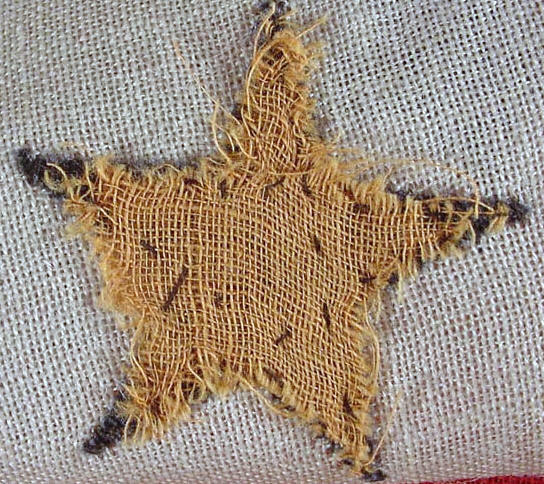 The additional six stars are roughly cut and crudely attached with homemade charm. Some of the added stars are hand sewn, others are machine sewn, symbolically portraying the progression of the war as more sons entered the service. 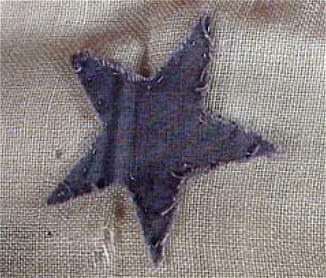 On top of two of the blue stars, cut red stars were stitched, representing two sons who were wounded in combat. Then, upon hearing that the soldiers died of their mortal wounds, a gold star was sewn upon the red. 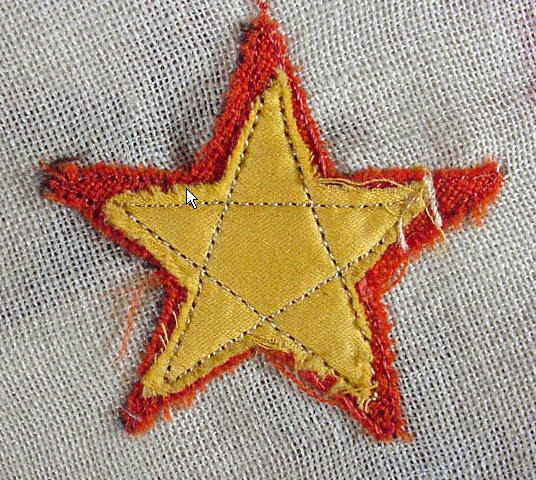 Finally, on yet another blue star, another gold star, roughly cut and primitively hand stitched, represents yet another son who died at war.